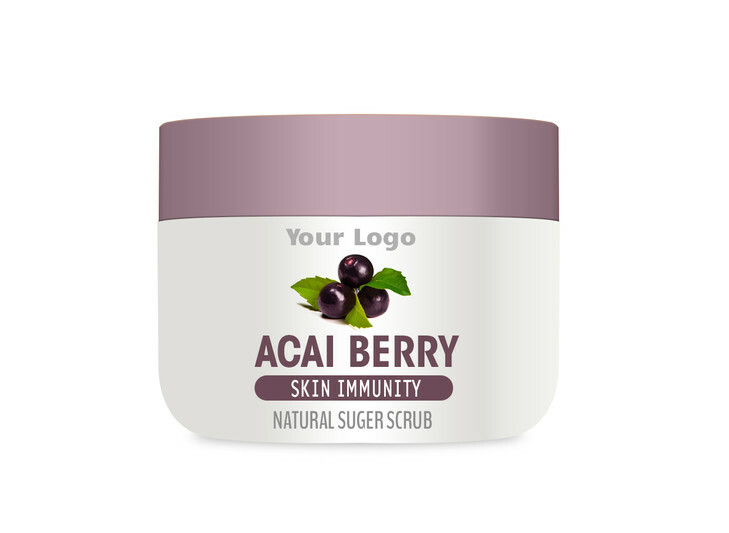 Body scrubs are great for all over body cleansing, exfoliation, and for exciting circulation. Our Glowing Skin Sugar Scrub will both refine and soften the skins texture in one easy step. It is formulated to gently slough away dull cells, rinse clean, and give the skin a soft sensual glow. People will wonder how they ever lived without the Skin Sugar Scrub! Why Sugar? Salt scrubs are great and have their own benefits but what can be more fun than a Sugar Scrub base. Besides the fact that sugar cane crystals are great for gentle exfoliation, from a marketability point of view, Sugar Scrubs appeal to a greater range of clients. Sugar scrub puts the fun back into maintaining healthy radiant skin. Sugar is naturally an emollient, a mild emulsifier, and a humectant which helps soften and soothe the skin. It is often used to correct dryness and scaling. The sugar grains used in our formulation easily dissolve on the skin while providing excellent exfoliation properties.